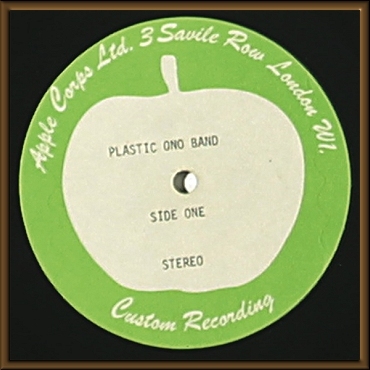 A Yoko Ono Plastic Ono Band Apple Records acetate recording having: "PLASTIC ONO BAND" typed on both sides (c.1970). 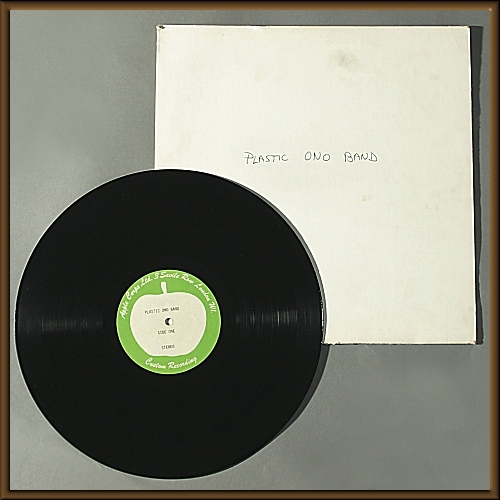 Housed in a white cardboard sleeve reading "Plastic Ono Band" handwritten in ink. PROVENANCE: From the collection of Howard Smith.